It's a big year for architectural icons in Paris, with two of French capital's best celebrating birthdays this weekend. The Eiffel Tower turns 130 on Saturday, while the Louvre Pyramid has just marked its 30 years – both monuments which were greeted with public outrage when first designed. The construction of the Eiffel Tower structure was completed and inaugurated on Sunday 31 March 1889, reportedly with workers still on it. 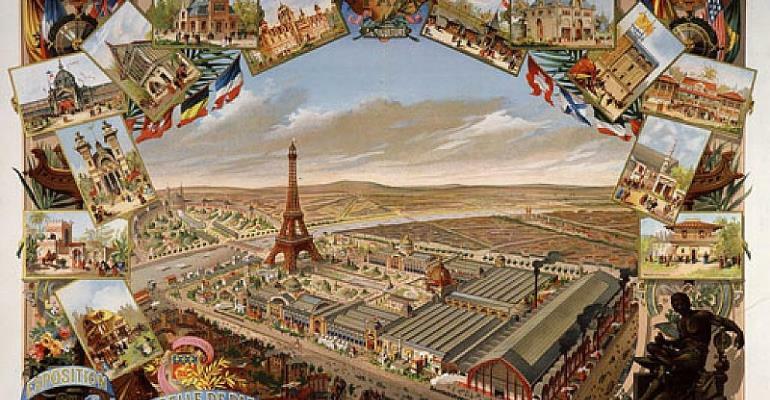 The metal tower rising over 300 metres was erected between 1887 and 1889, and marked the 1889 World's Fair. The project, led by engineer Gustave Eiffel, took 2 years, 2 months and 5 days to build and assemble. Although the tower – which later became known as "the Iron lady" received nearly 2 million visitors during the World's Fair, it was not widely accepted at first. As well as being a tourist icon, the Eiffel Tower hosts events such as the "Verticale" race, where runners sprint up the 1,665 uneven steps. It is also among 24 global landmarks that will take part in Earth Hour this year. The 13th edition organised by the green group World Wildlife Fund, will see millions of people across 180 countries turn off their lights at 8:30 pm local time on Saturday 30 March to highlight energy use and the need for conservation. Another cultural icon which originally caused discord is the glass Louvre pyramid, designed by Chinese-American architect I. M. Pei, which marked its 30th birthday on Friday. Then French president Francois Mitterrand so impressed with the modernist extension to the National Gallery of Art in Washington DC that he insisted he was the man for the Louvre. It was commissioned under Mitterrand's flamboyant culture minister Jack Lang. Pei, who will turn 102 next month, remembers "receiving many angry glances in the streets", with up to 90 percent of Parisians said to be against the project at one point. The current director, Jean-Luc Martinez however, is in no doubt that the pyramid helped turn the museum around. He has worked with Pei in recent years to adapt his plans to cope with the museum's growing popularity.